MiHaven recently celebrated the graduation of five Yarrabah apprentices who have completed their Certificate III in Carpentry apprenticeship. This is a first for QLD! We are so proud of what our boys, Roy Patterson, Coleridge Yeatman, Charles Murgha, Frederick Lefoe & Wendel Bounghi have achieved. They are shining examples of what hard work and dedication can deliver to a community and is true, life-changing story. Curtis Pitt MP recently visited Yarrabah to hear the story first-hand. 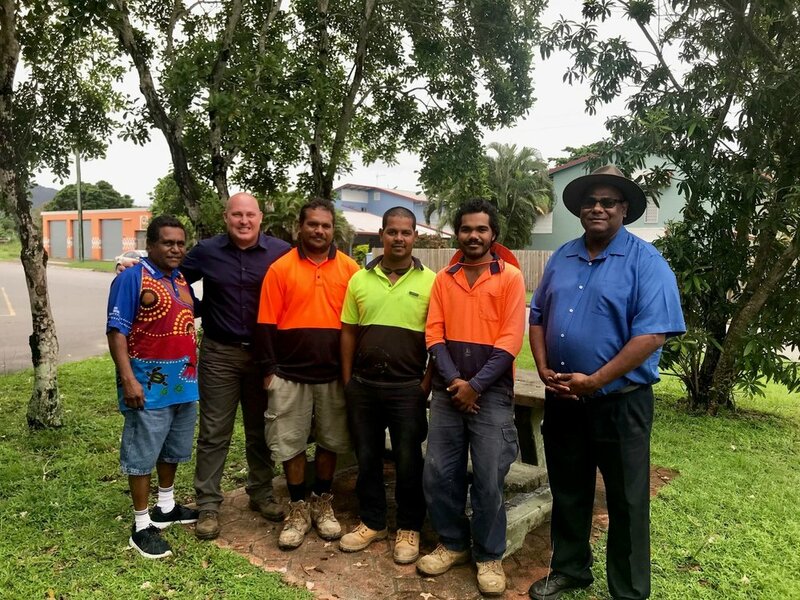 "I recently caught up with Mayor Ross Andrews and Cr Colin Cedric of Yarrabah Aboriginal Shire Council to learn more about their apprenticeship program. I was pleased to meet apprentices Roy Patterson, Charles Murgha and Frederick Lefoe to hear about the projects they have been working on within the community. Since starting their apprenticeship, they have worked on 24 houses over the past 3.5 years.